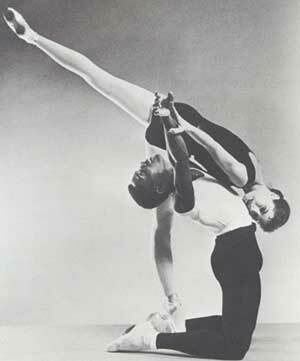 I believe classical companies would love to employ more black dancers, cultural diversity is always a PR plus!!! I think the problem starts at the bottom, the talent is not feeding in because, perhaps, in black communities ballet is not seen as a socially or culturally accessible activity. I love watching companies like Ballet Black and Alvin Ailey, perhaps if these dancers were working for mainstream companies (without a doubt the dancers are all talented enough) then we would see a greater diversity across the art form!! Could it be that the existence of such companies is in fact holding black dancers back in the art form?? Controversial!! Not saying I agree with this, just raising the question!! Anyway, yet another thought provoking and insightful post from Dance Dialogue!!! Agree the problem starts at the bottom, through lack of exposure to the performing arts – which is mainly an economic issue. Going to see the ballet, and training in ballet are enormously expensive propositions, just like certain sports that are traditionally viewed as elitist (skiing, sailing, etc.) Outreach programs by ballet companies are one of the best ways to find young talent and engage underserved communities, but the costs are daunting esp. in these difficult economic times when companies can barely afford to pay their own dancers, and philanthropic giving is shrinking. “Non-traditional”, “non-white” companies like Alvin Ailey, DTH, Ballet Black, and in Asia a small number of top-notch companies like Ballet Philippines, and of course Cuba, are essential incubators for Western companies. Their alumni have fed increasingly into the principal and soloist ranks of companies like the Royal, ABT, NDT, Miami City Ballet, Atlanta Ballet, Pacific Northwest Ballet, which today reflect a striking ethnic mix – not just black, but all shades of brown and olive. These dancers are important role models for aspiring professionals. But the bigger problem remains in the corps de ballet where uniformity is most obvious, as Dance Dialogue forcefully points out. Ballet companies are not run by committee – Artistic Directors reign supreme in companies large and small, and their personal tastes and decisions are reflected in the “look” of their companies: diversity in the corps is solely in their hands. Back in the late 1980’s, ABT’s production of Swan Lake featured long romantic tutus for the swan corps. A handful of these tutus were all-black, and the black-clad swans were sprinkled seemingly randomly onstage. The impact of this design was stunning – far more so than the traditional, uniformly white swan corps – and a powerful metaphor for why ethnically mixed ballet companies are fundamentally more exciting to watch.